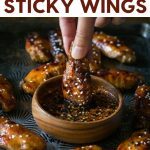 Paleo Slow Cooker Sticky Chicken Wings are MELT in your MOUTH good, cook them in your crockpot in just a few hours! It turns out there are several types of chicken wings, did you know that? 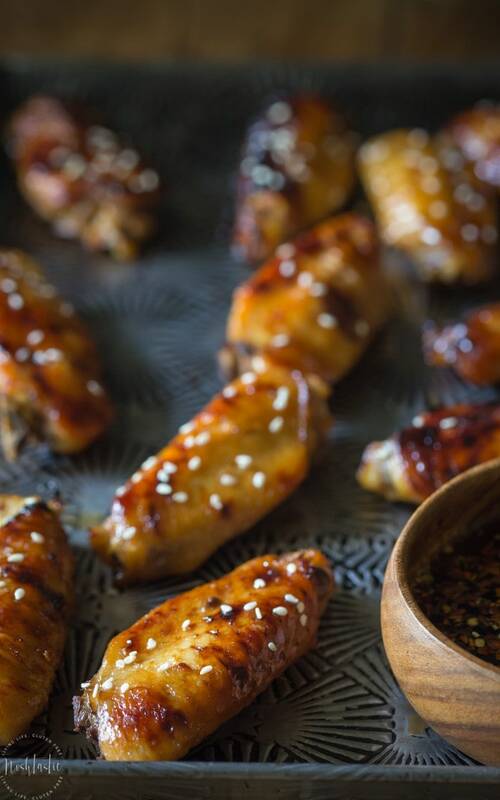 I really had no idea until I started rummaging around in the packs of chicken in the grocery store and came across a dizzying array of wing types and sizes. I’m exaggerating a bit, there are really only three types. The actual wingy wings with three parts to them, the ‘drumettes’ that look like mini chicken drumsticks, and the middle part that I wanted (which of course they didn’t have) called the ‘wingettes’. No matter, I’m pretty good at using Google so I bought the full wings and just watched a youtube video that showed me how to cut them into three parts, it was very easy and cheaper I’m sure than buying them already chopped. In true food blogger fashion, I wanted the wingettes because they are the most photogenic part of the wing so that’s what you see in the photographs. I cooked the ugly drumette parts too, you can’t see them in my photos but I can assure you they taste just as good as the wingettes. The wing tips are teeny tiny and you really can’t eat them, but if you happened to be making homemade chicken broth then you could throw them in the pot alongside the other chicken parts. It’s always kind of tricky giving cooking times for other people’s slow cookers as it can vary quite a lot from one to the next. I have two slow cookers, one is 8 years old and the other one is about 2 years old. I don’t know if a busy government bureaucrat in an office somewhere told slow cooker manufacturers everywhere that they should raise the cooking temperature of their devices, but my newer one cooks at a significantly hotter temperature than the old one, I’ve been caught out with overcooked wings a couple of times when I’ve forgotten which one is which and they were cooked quicker than I expected. You need to watch your chicken wings and check them after two hours and see how they are doing, they really don’t take very long to cook. And lastly, you’ll need to pop them under the broiler with the rest of the sticky sauce. 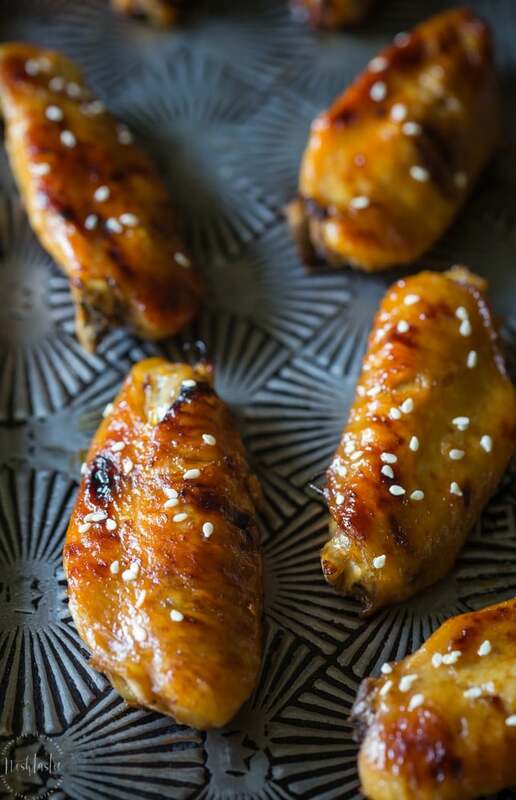 Slow cookers are great for a lot of things but they can’t really create the lovely sticky wing sauce that we’re going for here, so if you want that lovely sticky coating then you’ll need to take this extra step. Here are a couple more recipes of mine I know you’ll enjoy! my Paleo Cilantro lime Chicken, this is really easy to make and cook, you just marinade and throw it in the oven! And lastly you’ll just LOVE this recipe for Truly Crispy Coconut Shrimp, it’s so, so good! Please watch my short recipe video before you start! It's right below the recipe directions. 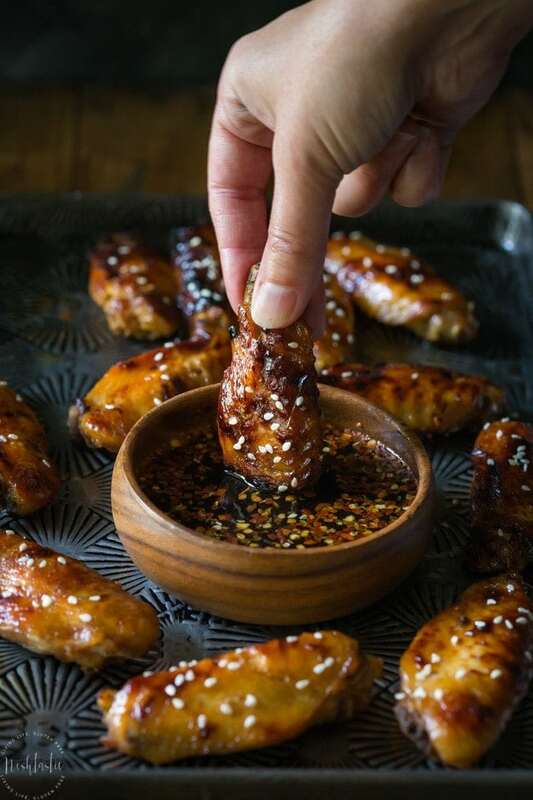 Combine all ingredients including wings (except those for the sticky sauce) into the crockpot mix it all together and cook on high for at least two hours. Check them after two hours to see if they are cooked, if not cook for a little longer. You want the wings to be 'just cooked' and not fall off the bone because you have to be able to pick them up, so take care not to overcook them. While they are cooking mix together the sticky sauce ingredients, cover, and set to one side. Once they are cooked place the wings on a parchment lined half sheet pan and brush with half the sticky sauce. Broil on a medium/high heat for 5-10 minutes until they get a little browned and sticky, turn and repeat with the other side of the wings. You need to watch them carefully when broiling as they can burn very quickly. Serve hot with a dip of your choice, or just as they are.